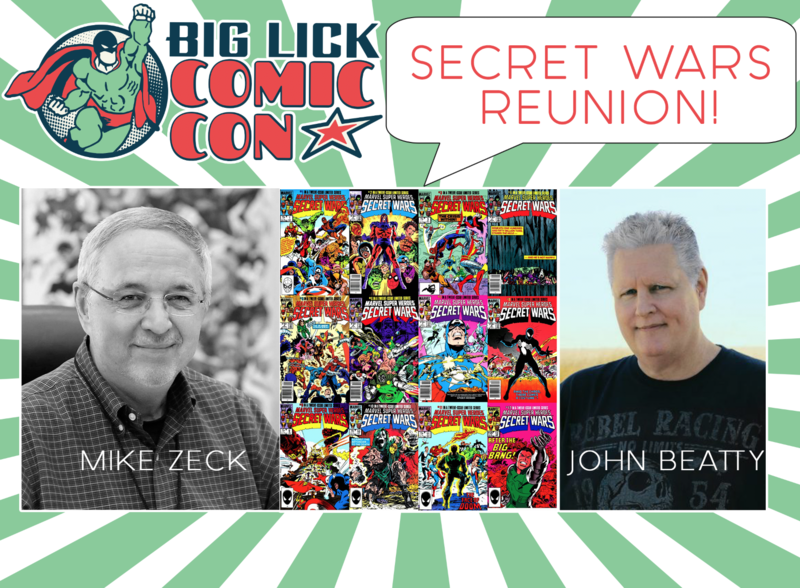 #GuestAnnouncement We are thrilled to announce our very own Secret Wars Reunion at Big Lick Comic Con featuring the legendary Mike Zeck and John Beatty! This spectacular 12-issue event featured the Avengers, the X-Men, the Fantastic Four, Spider-Man, Magneto, Doctor Doom and more! Mike and John will be on hand August 3rd and 4th at the Berglund Center in Roanoke, VA for autographs, commissions and of course our Secret Wars Panel! Weekend passes on sale now at the Berglund Center Box Office and online at www.biglickcomiccon.com!